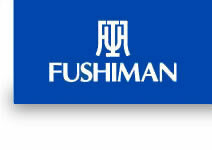 FUSHIMAN is aware that in today's environment of advanced technology and high-speed information, the individual's right to protection of privacy is of utmost concern. We will comply with all applicable laws, regulations and guidelines in relation to customers' personal information. We will ensure that employees are made aware of these safeguards regarding personal information. We will handle all personal information in a lawful and fair manner as outlined below. We will endeavour to keep personal information up-to-date and establish measures to prevent leakage, loss or destruction. In dealing with personal information, we will confirm the person's identify and not provide information to outside parties. We will confirm that requests for information are made by the customer himself/herself and dealings will be enacted quickly and efficiently. If deemed necessary, amendments may be made the policy above as we endeavour to ensure the utmost protection of your privacy. We use personal information collected through our sales activity and queries sent to our home page applications (requests of catalogues and CAD data, the downloading of CAD data and reference drawings), solely for the purpose of after-sales service and in allowing us to keep the customer informed regarding products. However, in keeping with the aforementioned, we may involve other organizations, but we will require them to conform to our internal rules regarding the safeguarding of personal information. If customers request that we do not disclose personal information in such circumstances, we will act in compliance on being contacted.